Purpose: analyze the success of a product/service in the market. Task: Think about a product/service already existing in the market, and describe the most relevant aspects which lead it towards the success or failure. Interaction: Read the contribution of others and react. At the end based on your discussion the moderator will a list of components for success or failure of a product/service. The Alpina brand is famous in nordic skiing, especially because of producing high quality shoes. For me the greatest disadvantage of that kind of company is that most of the shoes are made in foreign countries, especially China. The reason? Because our production is too expensive or too slow. The company achieved financial bottom few years ago because the market for buying nordic skiing shoes in Slovenia is too small. My proposition is that the company must expand their products to foreign markets including non-sport fashion. And yes, Alpina needs better design and use of quality materials beside leather. As an ex swimmer I will introduce you Arena. The Arena brand was created by sports visionary Horst Dassler, son of the Adidas founder and President of Adidas France. During the 1972 Munich Summer Games, Dassler was on the pool deck when Mark Spitz won his historic 7 gold medals. Dassler, along with the rest of the world, found himself in awe because not only was Spitz the first athlete to win 7 golds in one Olympiad, but at the same time he set 7 new world records. Dassler immediately started forming plans for a swimwear company dedicated to aquatic sports and created the new performance swimwear brand known today as arena. They sell a equipment for swimming, triathlon, water polo and other water and beach sport. There best product in my opinion are racing swimsuit they are much better that other swimming suits from different companies (Speedo, Tyr, Diana). Soo that mean that you swim faster in there swimming suit that mean better performance. As a athlete for me food is very important part of my life. After long and hard trainings my body needed to restore energy and there was no better way then with some quick preparation of pasta. 🙂 So i will be talking about Barilla. We all know pasta comes from Italy nad it has very rich history. Barilla is also from Italy and has long tradiction. They stared their company in 1877 and till now they are most known manufacturer of pasta in the world. I think their policy is very good. The prices od products are not as higher as other brands but in my opinion taste is best. They participate in large sport competition and they appear with some of very popular athletes. With long strong reputation Barilla has very few sides of failure. I would like to analyze the success of the company Cserpes. It took some time for the 25 year-old company to find its true, trendy image but they can find and after the first few years, there were 20 people working at the company, which broke into the market with ricotta. The core of the current portfolio was first developed in 2005 when they started making high quality cheese, sour cream and yoghurt using first class ingredients. At the beginning they sold their products predominantly through mobile vendors and markets. The company, which currently employs 330 people, has two strategies going forward: firstly to develop their machinery and in particular, automation, and secondly, to focus on retaining and training staff. I would like to show a Hungarian successful company Fornetti. Fornetti is a baker-company started in 1997 just a little family’s enterprise. Fornetti had some famous products brand-new cakes and cookes. They were very popular company improved and made a country-wide franchise network. The success based on three pillar: mobilise oven unit, franchise system, and sale for weight not for pieces. I would like to talk about the Nike. I heard a lot about it from my marketing strategy teacher. He said the Nike had a huge change in marketing startegy. They make colourfull and eye-cathing boots for example in football. They say you can be as good as like Ronaldo if you buy their (expensive) football boots. Although the quality of the boots not as good as like Mizuno has, their marketing communication is unque in the world. That thing can be their key to succes. Nowadays, most people don’t care abuot their health, they eat what tastes good or is cheap. Coca Cola promotes themselves with a lot of sports events. Isn’t it interesting? An mostly unhealthy thing promotes itself with a healthy thing. But they do it very well with actual advertisement (I mean summer edition, christmas edition etc.) and coca cola is always ‘around us’. People want it because of the acvertisement usually think about is and they care it is healthy or not. I have learnt about it at the university. I absolutly agree with you! For me this is also very disturbing factor, how can product like coca-cola be a sponzor of all mayor worldwide competitions..so sad.. I want to talk about fast food industry „Take away“. This is best way to take food then you are very busy person. Of course food not good enough for our body, but this solution did great job around the world. Personally, you must to watch how much fast food you eat. If you eat a lot, it’s not good for your healthy, but to save some important daily time for you, it’s best solution I know. Other thing why basketball is so popular is because people don’t want to try other sports and they just want to be fancy because supporting basketball and playing basketball is fashionable.Sometimes its sad that other sports and good athletes can’t get same similar support as basketball players. All in all I think its a good think to have such a sport in small country. Because in those moments when our national team have a competition all lithuanians unite. Today I want to tell about EAS company. The EAS company was founded by Bill Phillips, I think this name is well – known in the fitness industry. He wrote fitness book, Body for Life: 12 Weeks to Mental and Physical Strength. Bill Phillips was a bodybuilder, before he started his own business. It’s amazing that he made his hobby business. This company main products are food supplements for athletes: protein shakes, energy bars. They have 4 lines: Strength Building, Maximum Precision, Recovery, and Daily Nutrition. Then Bill Phillips was CEO the EAS company, he made company brand No.1 in all world, and where he remained for more than five years. He used very strong Brand strategy, motivational system, his campain was “Take the challenge make the change!”, supported various sporting events. In 1999 years he sold company for 160 million dollars. But the main problem was, that new owner used other marketing strategy, and these strategy wasn’t so successful. Food supplements sailing without sciense news, challenge experience, motivation your customers is nothing. I would like to talk about things which is harmful for us but we still ate or drink it. For example: coca cola, mc donalds, burger king, energy drinks. What do you think? Why are we paying so much money for these things? I have 2 reasons for that. First we buy coca cola because of the advertising. They made a really great contrats with many popular company so we see them everywhere. In my opinion the second reason is we buy mc donalds and other fast food because we think we dont have enough time to make lunch, or it safes us time. I choose low cost carrier company. EasyJet is a British airline, operating under the low-cost carrier model. The airline was established in 1995, the first company in what would later become the easyGroup conglomerate. This is a great success story, as easyJet started offering its low-cost services with just a few planes, and now easyJet also has buses and hotels, car rental and everything is needed while traveling. The first thing that came into my mind was the Coca Cola. Everyone knows how unhealthy it is, but most of the people drink it. In my opinion there is only one reason for that. The good advertising from the beginning. Just think about the bests of Christmas advertisements. What do we think about? The Coca Cola. Secondly look at the sponsor list of big sport events, I1m sure, you will see the Coca Cola. As well in the biggest restaurant chains menu. I think that’s the point. Wrestling is a highly intelligent sport that requires a lot of mental work, meditation and concentration. After intensive competitions or trainings, I spend a lot of time reading books. Few years ago, I found very attractive activity and it is called brain battles. There are two types of brain battles. When you with your team and another teams meet in a cafe and play live brain battle and when you play brain battles using the app. I prefer live interactive game, because you not even play the intelligent game but also you communicate and socialize with another people. I would like to discuss about Trafi app. It’s mobility app designed to help you use all transport modes for most efficient trips. It‘s world’s most accurate public transport app. Trafi app is about the real time movement. You will no longer need to wait for the data to refresh. If something’s going on in your area you report it to other Trafi users to make your public transport experience even better. Trafi also shows select reports in timetables, so that you’ll see relevant alerts next to your bus schedules. This app you can use not only in your home town but you can use this app while you are traveling in other cities in the world. I heard about a statement. In several cases people think the more expensive products are more quality, than the cheaper products. So if you have a bad products or services, but you make an enormous promotion for it and you sell it with high prices you can be succesfully. I think it’s so interesting. I would like to share a success story of secondhand clothes online shop Vinted. Vinted is an online marketplace and community that allows its users to sell, buy, and swap secondhand clothing items and accessories. This online shop started its activities in 2008. This is a great way to promote your clothes for the second life. Instead of throwing it you can change it or sell it. You can buy well-known brands clothes at a very low price. All offered items are captured and described, so you do not need to leave home to buy one or another item. All items for you coming by post. Also, there are rating of the sellers so this helps to avoid a dishonest people. This app is relevant for women who want change their cloths and get good quality things for less money. Personally, I am using it and to bay clothes, and I love it. I would like to talk about BITCOIN (https://charts.bitcoin.com/), cryptocurrency and worldwide payment system. It is used for buying in electronic form and it makes it the same like every other currency (euros, american dolars, GBP etc. ), you can buy anything with that, but, it is the first decentralized digital currency. Bitcoin system works without a central repository or admin. Bitcoin was made like product of idea softvare developer – electronic payment on math evidences. Bitcoins are “mined” and costs a lot now. When they first appered they were cheap, but their value was enormously grew up druring time. They also have some fails in their work. Once, they fall from 20$ to only 2$. So, I choose this “product” because it is interesting how strong something can be, but it can fail at just one moment. We can found now a lot of new cryprocurencies which represent competition for Bitcoin. Now, the value of bitcoin is about 10000$, so it changes almost every minute, and it can grow up and fall down in moment. How do you achieve great success of your brand. Let’s use example of McDonalds. It is selling fast food which is by public opinion an nutritionists unhealthily. So, they have decided to step out of the box and to promote their self by becoming major sponsor of Olympic games. They manage to merit two opposites in great business successes. I live in Bosnia and Herzegovina a small country on Balkan. Country doesn&apos;t invest enough money in sport. Because of that we now have many children that are overweight. I don&apos;t blame only the country I blame also the personal trainers and clubs. Their policy isn&apos;t to make a healthy and adaptable children, they only want to make as much money as they can. They don&apos;t understand how the world works. If you only think about money the kids will feel that you dont care about them and you will start to lose them. That maybe won&apos;t happen right away but the time will come. If I ever start my own club I wouldn&apos;t judge kids by their social or economical status. Everyone would be welcome and I would try not only to make them good in sports I would work on them as a living beings. I think if I work like this you will have also money because people will recognize yours efforts. I would like to write about a brand that almost everyone in the world knows, it’s Coca Cola. That is a drink almost everyone drinks even if it’s bad for their health. The question is why would anyone drink something that’s bad for them. How did that drink get so popular. It’s an easy answer advertisements. Coca Cola was one of the first company that started to use billboards and things like that’s. When we see an advertisement on the subconscious level it stays in our brain. See when we see a Coca Cola in the market we get a desire to drink it. That’s the power of advertisements. In this modern world with internet and all others technological ways we can pass our product to almost all people in the world so everyone can hear about the thing you have to offer. In the conclusion I think that a good advertisement is the best way to make your product or service successful. Nowdays a lot of Hungarian people prefer the lowest prices on the market because the low salarys. And its make different to live for the smaller entrepreneurs. So if the people will get bigger salarys they can change.They will select from the products and services and it will make a race for the supply and it will be a help for the economy. I work in a beer promotion as a hostess. It called Soproni IPA (Indian Pale Ale.) It’s a new type of hungarian beer. The aim is that so many people taste this kind of beer. The senior manager worked up a promotion for it. On so many event in Hungary we (hostesses) were there with an instalation. We had 3 tablets with 3 questions about the IPA and if the visitors knew the answers they got a beer for free. I think it was really succesful beacause with the 3 questions the visitors had to pay attention for the beer. If we just had gave them it for ‘free’ they would’t care about it and maybe would have forget it. But with this little game they had fun and theye were interested in the beer promotion. my example is very known fashion shop Massimo Duty. It is clothes shop, and I choose it because it is one of the sponsors of equestrian sports 🙂 (Horse riding). So, I have been in some countries Lithuania, Spain, USA, Austria, etc shops. and everywhere you can see the same details, which is recognized everywhere. Even smell inside the shop is the same everywhere. And what is interesting in all the shops sometimes you can see details of equestrian sport. But this is very noticeable in the countries, where equestrian sport has very well known and has leaders positions in sports system in the country. It is really interesting, when you can compare things like that. I `d like to talk about the brand Jako. It´s a clothes brand and a big wardrobe supervisor of many sport teams. Interesting was that at the beginning, Jako was cheap and unknown. The material wasn`t high level and the design wasn`t a blast. With the change of the material and design better clubs got interested in wearing the tricots. Jako gained in popularity and furthermore more teams became interested. Hi, Julia! When I played handball, I got to experience their change first hand. I found that they’ve copied more successful brands’ styles and for an unknown brand their clothes were bit overpriced. I would like to mention Nike. On the market of the football boots they did the most impressiv marketing strategy. If we think about it in the past the boots were functional with one porpouse to make the player more succsessfull with a high quality product. In the near past Nike did a huge change and make the shoes very colorfull and make them have a “fancy” look, this way they make them some kind of fashion product. The company every year make some new designs and if the players want to stay up to date in fashion, they have to buy the next series of the boots. Even if the old one is in a perfect condition, this way Nike can improve the sales an this can lead them to number one seller on the market. I want to talk about speedo swimsuits. Speedo International Ltd. is an Australian manufacturer and distributor of swimwear and swim-related accessories based in Nottingham, England. Speedo had ever been one of the most popular swim brands in the world. Speedo had been the first brand who made a swim racing suit with the poliuretan, when the LZR racer was lanched all athletes runs to buy it, because that swimsuit was superior to the other racing swimsuit. This was a great success for the brand in 2008! In 2009 Arena, Tyr, Jacked starts making racing swimsuits at 100% of poliuretan, (LZR was at 60%) and than The other Brands starts recovery. I’d like to talk about Huawei smartphone. Huawei is a Chinese multinational networking and telecommunications equipment and services company. Already knowed for the other services, a few years ago starts to produce smartphones. Huawei developed a path from the bottom that led to becoming the third world-leading smartphone manufacturer, finding the right compromise between price and quality, and that from the stylistic point of view has nothing to envy to other top brands. The client was created by WhatsApp Inc., based in Mountain View, California, which was acquired by Facebook in February 2014 for approximately US$19.3 billion. By february 2016, WhatsApp had a user base of over one billion, making it the most popular messaging application at the time.It is the most popular messaging app in India and Pakistan, Russia, almost all of Latin America, most of Africa and the UK, Germany, Italy and Spain. Back then 2 years ago, this application has made great marketing and is therefore one of the first applications for communication. Nice analysis. However, I personally believe that whatsapp is a great product especially because of the capability to support the needs of people (e.g., social behaviour with chats, communication, etc.) regardless of marketing strategies. I think the most important aspects are the compliance and quality of the product. The price and value ratio has to be good. The knowledge of other products in the market is very important. The way how the product is advertised and promoted can be the key in the selling process. Another component is to have a very meticulous business plan which includes an important part the braking-point. Nice suggestions. However, could you select a product/service to practically link the mentioned marketing aspects? I would like to tell u all about “WiKey” one smart device created in BiH. This smart and useful device was created by my friends Adel Miljković i Nandino Galijašević. Wikey is a little drive that fits in your pocket and acts like your own personal cloud. WiKey provides a solution for anyone who needs a lot of storage, and this is something new on the market. The moto of this company is “SHARING LIKE NEVER BEFORE”, and its good moto but this device on my opinion has one weak side price. 32Gb model cost 149$, 64Gb – 199$ and 128Gb – 249$, which is too expensive for our market. Mislim da su najprije potrebni za uspjeh na domaćem tržištu, a onda se razmišljaju na globalnoj razini, a učinili su upravo suprotno. I think they need first to make success on home market then thinking globally, and they did just opposite thing. Appropriate analysis with both strength and weak points. I would like to introduce one of the most popular applications of today’s Instagram social network. Today’s “Technologies” are all gorgeous smart phones that do not ‘separate’. The application was designed by Kevin Systrom and Mike Krieger for the purpose of setting up images and sharing, and then put it into a more commercial part of the type: advertising, sponsorship, etc … Instagram has become part of everyday life. A well-known company named “Facebook” bought Instagram 2012 for $ 1 billion. These two guys had a good idea, they made an excellent plan, application building (plan realization), and collaboration with other companies. They got a sponsor and made excellent marketing. Which is the result of all one of the most popular applications of today. I will talk about MSN. You all know what is that, instant messaging, Now for the younger generation, they dont even know what that is. It was so famous everyone was using it, it was better then any other social network. Viber, whatsap was nothing compared to the MSN. Now it does not even exist. Main problem is lack of commercial that ended up with failure. Other companies was taking over, they have invested in commercials and it have payed of. So the main thing is commercial, without that you will fail sooner than you think. My opinion. Interesting marketing analysis of a failure of a product. Like you point out the lack of commercial can be a problem. started in 1994 in New York with a very simple logo based off Barbara Kruger propaganda. The store and the clothing line was created by and for skateboarders. The key for its success is the low amount of pieces they sell online and in the world (only 10 stores). The Motto of the founder is: ”If can sell 600 I will produce 400”. In fact every thursday online there will be a ”drop” of limited amount of pieces and a lot of person trying to buy them. The brand is now very famouse and collaborated also with Lous Vitton, Nike, Lacoste.. Interesting marketing strategy. However, I don’t know if it could be successful in the long terms. I would like to introduce you ski and bike resort Petzen. Petzen it’s actually a mountain near my place. It’s well known because of skiing but few year ago they had a tons of problems with the bad marketing, no money and corruption. But it all changed when new owner took the mountain under control. He built up a new concept of running the mountain. In the summer they built bike park and one of the longest trails in Europe. They are trying their best to have trails under 100% maintenance so all the costumes are super happy with the conditions. They also steeped up the social media game. The put some money into supporting local bike and ski scene. I think this is a great concept of how the company should run. Hi, I would like to introduce you Myfitnesspal online calorie counter. Myfitnesspal is an online calorie counter designed to help weight loss. The site, which is basically a calorie calculator, was built by two brothers for their own weight loss needs and then shared with the world. Myfitnesspal uses an online food and exercise database. Many people eat the same foods regularly and My Fitness Pal remembers what you’ve eaten (and the exercise you’ve done most often), and feeds them into its calories counter.On February 4, 2015, MyFitnessPal was purchased and acquired by athletic apparel maker, Under Armor, for $ 475 million. MyFitnessPal had 80 million users at the time.I think that this company is working in the best possible way, also attracting the most people and motivating them to follow healthy lifestyles and train, their online promotion was the key to success and that is reason why they have millions and mililions users. I did not know Myfitnesspal. Do you know why Myfitnesspal has become so popular in comparison with other competitors? There was an engineer guy who is the leader of the Tesla company today. His name is Elon Musk who made his dream come true. He dreamed about a self-driving car which is the reality today. Back then nobody believed him that its possible for a car to take full control of itself. It was the funny part of the story, now that you all listen to me I can continue. So Elon Musk invented a great thing, he created the future of the personal transport. Today a lot of companys follow his technology and because of his idea he got a lot of sponsorship opportunities. I think its a good example for blue ocean strategy, because he thought in something new. I could tell a lot more about this, but it was the relevant part of the story. Nice contribution about blue ocean strategy! I would like to introduce you a fitness course on the internet. It’s called FitVideo. You can find on their webpage a lot of videos, with them you can do the exercices at home in every time. For a price ( cheaper than 1 aerobik lesson) you get credits on every day in a month, from your daily credit you can watch approximately 2 videos. And you can choose wich type of training you want, for example fat burning, cardio… In my opinion it is a good example for the blue ocean strategy, they found out a new way of excercising, wich is cheaper and more convenient than the usual ways. I think that FitVideo is a good example for the blue ocean strategy, In your opinion, are there risks for the customers? I have decided to take a closer look at a telecommunications application software product that specializes in providing video chat and voice calls via the Internet – Skype. It was first released in August 2003. At that time video calling was hard to do due to technical limitations, but what they did was that they adopted P2P technology (similar to decentralized torrent technology where users send the file to each other) to video calling. The owners used their technology from previous startup which was called Napster. That is, users themselves used their own internet connection and heavy servers were not necessary for forwarding all video translations. Therefore, this innovative approach helped them to have a competitive market advantage and made their product popular. I chose Red Bull, I guess thats the kind of marketing you need for your product! They know how to place their Energie Drink just at the right way. How expensive should my Product be? If you want to have success you need to answer all these questions! I think it’s because of the diversity of the brand there are so many different kinds of products, they know how to promote them and to place the logo at the right place. you talked about some important issues. It`s also important to find the identification with the product itself, which redbull cobines very good with those drinks for instance. I would like to analyze the product of “MoleCola”, 100% Italian drink (Piedmont for precision,a region in the north of Italy ). It’s born in 2012 and the name is a play of words. “Mole” draw attention at the monument in Turin: Mole Antonelliana (commonly called “Mole”). “Cola” relate to Coca Cola, and the logo produce another mean: molecule. It’s analcoholic drink and used for the first time to slow fast food M**Bun of Turin. It’s a ecosolidale restaurant with only Piedmont meats. Another benefit, more than Italian drink, cooperate with Onlus donate 30% of the proceeds. I thinks this is typical example of regional “blue ocean strategy”. yes, I think a good example of “blue ocean strategy”. It’s interesting as they use play on words for the brand. I would like to describe the concept of Redbull. Redbull is the perfect example when you think about the connection of a product or a company to sport. Redbull uses sport to define its image. Although we all know that Redbull isn’t that healthy, so many people drink it. In my opinion the reason for the success of Redbull is the image they get by being a sponsor for that many sports. Especially the sponsorship of the FunSports and ExtremeSports helps Redbull to get the image of a cool, risky and sporty Lifestyle. An that is exactly the way how young people want to live. So what Redbull did is, they choose its target group, which is young people. The next step is, they thought about what the young people like to see and with what the young people want to compare with themselves. After that Redbull searched a way to be known worldwide, so in the end they chose sport to comply with all that. Particularly in nower days with the help of the social media it was the right way to the right time! Other participants considered Red Bull like you. All of you reported the importance of the image associated to this beverage. Don’t you think that the regular highlighting of a positive image (instead of caring the substance of the product) could limit its success in the future? Redbull has got a really cool marketing! I’d like to discuss a young yet very successful fitness clothing manufacturing and retailing brand, called Gymshark, which is especially popular in the U.K. and the North American region. The founders realized the importance of social media, so they invested into influencers who were followed by millions of people and also could be met on fitness related events. One of the company’s most important values is that their costumer service is extremely helpful, so when that’s combined with inexpensive products,can great successes could be made. In conclusion by producing innovative apparel for mainly young adults and being extensively advertised they started growing rapidly. Nice contribution about the relevant benefits from the visibility on social media. I like the idea of Gym+ which works 24/7. It always works. This gym appeared in November 2015. it was the first and only sports hall that worked round the clock. And for a very reasonable price. They do not have a difference, you’ll only go to the hall or to group lessons, too – the price remains the same. Their motto: Do sports when you want and as much as you want, the main thing – do sports. The atmosphere in the room is very simple – just a gym with simulators. And this motivates people to come and just work, and not to show off who is better. This year two more Gym + halls were opened. And there are always a lot of people in them. I think that the success of their company lies in the fact that they have met such needs of people that no one has done before: a 24-hour gym for a small price. Great analysis. Thanking to your contribution and others focused on fitness world, I’m noteing that there is a great attention on this field and potential margin of success. I would like to analyze a website company in Turkey. The company provide online meal services from a lot of restaurants in your close area. The website name is yemeksepeti.com. For example you came to home from work a little bit late and you want to eat something. You can open the website and search which restaurants is still open and then you can order a meal from the online menu. It is really saving your time and also it’s practical. The website has options for the payment with online and credit card if you don’t have cash. Website also has application on the apple store and android, so you can order from the phone wherever you are. There is always online help service on the website and in the application if you have problem with your food or the service you can easily report to the customer service. There is also weakness on the website. Sometimes for example the restaurant close the meal service but the website doesn’t remove the restaurant because of this you could lost time. Other negative side online payment method doesn’t work regularly. your analysis is complete and interesting. I imagine a service, it’s a sport personal trainings. Is’s a modern fancy service in the gym word.Ok let’s get analize in my oppinion! Positives thing and why be it good for me. But I think its a good business. you imagined a service. Does no similar product exist in the market? If yes, could you briefly describe one of them? The case study I want to talk about is “All I Need” Tea. It is a pretty small Austrian Brand that had their market entrance just a few years ago. It is a organic green tea, with fair-traded ingredients. The recipe is pretty easy and there are not many ingredients and none of them are artificial. They communicate through several marketing channels, including brand ambassadors that match their target group and that represent not oly the product but the whole story behind to the outside. For me, I like the idea of using just a few but healthy ingredients and that it is not too sweet but I am not a big fan of these “lifestyle drinks”. You do not buy just a drink, you also buy the image of a brand. That’s a thing that RedBull is doing perfectly. I think most of the time people do not buy Red Bull because of the taste, but because of the image they gain. I think the most success a brand can gain is that people do not buy just a product, they buy the identity, the brand. In other words, this brand is able to merge substance and communication (marketing) together. The Brand i wanna dicusse is Oxess. It a very small Snowboardbrand, located close to Zürich in Swizzerland. This Brand is offering individual Snowboards and Skies for everyone. Since this Brand was established nearly 15 Years ago the Numbers of Boards and Skies the produced increased year by year. But what you have to know first off all is that this Brand is not producing Boards or Skies for stock. The just produce on order and everything is totally costomized. But thats in my opinion their biggest unique feature. So no Board/Skies are the same. The customer is more or less a part of the producingprecess. So the customer get pretty deep into the topic of what he or she is buying. But for sure this special treatment is not cheap. There are no Boards or Skies under 1200Fr. So the market they are established in is a very elitist one. But in this alcove the Brand is known for awesome Quality and long durability. The public in general tends to believe that good quality and unique service is enough. But it isnt. Oxess becomes on of the most successfull Snowboardbrands in Alpine Racing and Boardercross over the last 5 Years. This needed a hugh amount of money to develope the right equipment. But now their Athlets are the best Marketingtools for them. When they win Worldcups oder Olympic Medals its better promotion then anything else. So for the future i would say that the brand con grow up slow. But more the slow is not possibile, because with the increase of selling Numbers its always a risk to lose the contact to the customers. So i would say that in this case growing slow must be the way to go! Great analysis characterized by constructive questioning points of view too. I would like to write about a store, I think it is unique in Hungary, called the Touchdown Store. It’s a sport shop what deals mostly with American football, but you can buy many other accessories in it. The store is very popular because the store offers a lot of accessories and aids to the most popular sports in Hungary, like football, handball, basketball, volleyball, running and combat sports. We can also buy similar products in other sports shops, but not so much choice and quality as in this store. There are several unique products or brands (e.g. McDAVID), such as protective underwears of all sizes and different styles (short or long), rubber or plastic leggings, sport-specific kneepads, elbow-pads, arm warmers, mouthguards, and there are protective gears, helmets, balls various training tools to American football, and the fans can buy t-shirts, jerseys, caps. And besides, there is a sports medical division of the shop. Among the disadvantages I would mention that these products are imported from abroad therefore they are quite expensive. Another pitfall maybe that there is only one such store in the country, it is in Budapest, so many people can’t come here, however they want. There is also online shopping in the store, but it may have disadvantages such as postage costs or poorly selected sizes, what it must exchange. The othe hand it maybe a disadvantage that if somebody orders the product, they have to wait for delivery, although he or she whants to use it urgent. Overall, I think people love this shop. This is my example of the blue ocean strategy. Interesting and complete analysis which considered both strength points and weaknesses. I want to start with the words “Success is never ending and failure is never finale”, good example for this saying is Nike’s “Just do it” attitude. Now, lets talk about professional Sports leagues. Here question is why Soccer league in Europe and Cricket league in some Asian region is so successful comparative other sports. Here answer lies in Blue Ocean or Red Ocean. it’s simply the fact of Demand and Supply or we can say consumers need. Largest consumers for soccer in Europe or throughout world, again largest consumers for cricket in Asia makes these real product based on demand and supply theory and Its all about Product, service, promotion and place also. Above organisations recognized the Need, Desires or demands of the consumer and they made a good strategy of delivering their product to mass through promotion with media hand in hand and it’s became profitable for media as well. the essence or main goal is to understand the market place and need of consumers, Consumers are the first need of every firm. After it knowledge of your product and awareness/popularization of it in the society. How can you intensify or create the possibilities of demand. Innovation and creativity, cost efficiency, who are the buyer are also another factors effecting the launching of new products. Hi Ashok, thank you for your contribution; however, could you provide more words about a specific product (also benefiting from and linking to the general aspects reported into your first post)? I´m writing about BURGERISTA – a fastfood chain invented in upper austria in 2012. Whitin 5 years this company opened 9 stores in Austria and another 9 in Germany. Led as a franchise company they are looking to spread the brand all over the world. Burgerista stands for high quality, great, jucy tasting burgers from regional meat (they have a blackboard right by the cashier, where you can get information about which farmer provides the meat for their burgers) and sustainable energy solutions regarding their packagingmaterial. You’ll find herb pots like basil, sage, or thyme right on your table – (like at vapiano or my indigo) and they offer their own branded different great tasting sauces and ketchup). Furthermore you get simple homemade lemonade as much as you want….so very american style, but austrian quality! Nevertheless that’s not the only adjustment to the market. They offer burgers without meat or bread – even before Mac Donald’s, or Ludwig´s (another good tasting burger company) did. When you ask people, what they like about Burgerista they just answer the burgers, the fries, the food in general is outstanding and kids would like to eat there 3 times a day, 7, days a week. So – what´s their secret of success. I guess this new appearing brand, is to be liked for it´s great quality – not just the good taste, but also the quality of food you can get for the price. It seems like THE American Burger hut, but with Austrian Food Quality – and that is rare. The store looks nice and clean, not too fancy – but comfortable and inviting to have a good time.What I like the most is the sink right next to the juice bar, where you can wash your hands before and/or after you had your food. As I just mentioned People start to think about what they are eating, and were their food is coming from. They want good tasting quality food, and they like to know, what they get for their money. So, the quality Burgerista offers, with a simple franchise system (you just get all the information needed on their homepage and simply get an idea what it would be like to run a Burgerista store) makes it easy to spread out the brand. Hey,my example product is Taxify, ita very sucsesfull in Baltics,and now its going worldwide. Its like Uber, but its more cheaper, if you want to work there you just need driver license, car which is not older then 10 years, and you can even work with rented car, its amazing job for people from other countries, because everyone can work there, and if you work a lot you can really get some money. For clients its very friendly, because you can always see how many drivers in town, there are discounts, sometimes even 50%, its safe, beacuse you always see with who are you going to travel, also you can see when driver will arive . Sometimes its better to travel in city with taxify instead of using public transport, because you will pay about 2 euros with taxify and if you go by a bus its 1 euro but qith taxify its more comfort. One of bad things that when its very crowded in town, taxify driver cant go on a taxi or buses line in aroad and you will be stuck in a traffic. Thats my toughts about product. Actually, this type of service seems to be one of the most appreciated in this period. I like your overview, maybe next time I’ll try Taxify, because now I’m more into Uber or eTaksi. I would to analize a newspaper named “Universo Nordico”. This newspaper talk about of the winter sport including the whole nordic area (xc skiing, rollerski, nordic combined, biathlon, grass skiing). I’ve chosen this argoment because this newspepar is the first that talk about to the nordic sport, inspired to the other sport magazin. I think that is important because help to know this sport that are considered minor and so help to increase the movement and the visibility. Interesting. Like for another particpant, you selected a product focused on one discipline or specific group of disciplines (like for your case). Probably, the generalization in sport is not appealing and convenient for marketing. I am about to analyze OTTO, which is one of the best-used online shop in the world. I’ve chosen this business product because I have experience using it directly. My brother showed me when I was living in Germany at that time. He spent so much time on online webshops to search the best prices before buying a product. That made me also looking at the online website. I have heard a lot about OTTO before using it. There were good and also bad remarks about it but I was really interested to try. This is a rapidly growing company which was founded in 1949. First experiences were amazing because everything I needed were very easy to reach. User-friendly pages and website. In my opinion this is the key to all kind of people. If you are young you can find your target in moments but if you are older you don’t have to worry about because all you need is to write it into the search box and you are there. For me the most important things are the feedbacks. I always read at least ten writings on a product and if shows 70-75% positivity then I buy something. Here you can find more comments and shares than you need. I like it. Next significant point is guarantee of the product and safety of shipping. I have many observations about buying online and there were some not-well made shippings that made me angry at that time. But OTTO is one of the most reliable online companies and that makes me stressless when I shop online. OTTO gets bigger and bigger. They extended their online websites for more countries and always try to change and follow or create new trend-lines in online shopping. Good analysis. Do you think that OTTO is also characterized by some limitation and margin of improving in the future? Of course one day there would be a line but it must take decades I think! My example of finding a blue ocean in red is Uber. It’s a perfect example of creating blue ocean in overcrowded market. It’s the one of the fastest growing transporting companies and yet it does not own any cars, or at least they didn’t at the start. The idea of owning a transporting firm and not use any cars is amazing. It takes away, so many costs and problems and it gives you freedom to your market and makes it worldwide. It truly is a brilliant idea. Do you Know some weakness? Yes, there has been a problem with taxi drivers. They said that the app is loosely monitored, but they have strict rules and regulations. But I don’t think that this is a problem connected directly with Uber, since it problem with law and regulations. As long as everything is operated in legal standards Uber doesn’t have a problem. They freed the ban for Uber this year and they can operate freely in Italy. I know they have some problems in other countries as well, so we will have to wait and see how will the things unfold. As far as creating new market “blue ocean”, I still think that this is a brilliant idea. My example for the blue ocean strategy is Nike. Nike is the world’s number one manufacturer of training shoes and sportswear. In Nike’s marketing strategy, not so much the product is the essence, but the sport’s spirit is trying to shape it to its own liking. They sponsor lots of famous athletes to promote their products. Its products are sold under the brand names of Nike, Nike Golf, Nike Pro, Air Jordan, Team Starter and its daughters (Nike Bauer, Cole Haan, Hurley International and Converse). Can you explain better the motivation of your choice? Why do you consider Nike a “blue ocean strategy” brand? Hi everybody, I bring you my experience with a clothing brand that used to be very popular in italian tennis players. the brand’s name is “Higher”, the logo of the brand is a little hand of a child, very interesting if you think that in tennis hands are very important. before bigger brands did, this agency started to produce very colorful clothes, never saw in tennis, tennis used to be a very “elegant” sport (es: white t-shirts, whites polos, classic socks) and players loved it. they started to give for a very low price tennis clothes to average but talented tennis players around Italy, then they started to do a sponsorship contract with professional ones. immediately after players who used to wear this brand started to feel very different and cooler than the other ones and the created a fashion. now this brand it’s still one of the best European clothing brands for tennis, also materials are very good, now it’ also pretty expensive but it’s ok. Thank you Marco for your contribution. It’s interesting to consider a brand focused on a particular sport discipline instead of sport in general. The two founders loved to eat muesli but there was never a muesli on the market which they liked so they decided to make there own muesli with only ocological cereals. In your opinsion, Is it ocen blu starategy? My friend is opening a new company which provides services: workout and healthy lifestyle onyl for elder people, and people with chronical diseases. Now you think that this is really common company and it is red oceean strategy. But this company provides really good services because guys who work for these company are great experts. One of the best thing is that this company dont have their own place or gym to work out. They come directly to your home! Yes, the trainer comes to your home, prepare place and needed equipment and thats it. It is very personalized training and program. I would like to analyse Nespresso, probably one of the most succesful coffee maschine producers,founded 1986 in Switzerland by Nestlé. Today the brand is worldwide successful selling coffee machines and the fitting alumine capsules. I think that the brand was soon sucessful because of their innovative capsule system, that made coffee brewing by fareasier and faster as common methods used to be. Moreover they used very good marketing and promotion strageties. Beginning with their name ´Nespresso`. Due to its similarity to the word Espresso it got like a synonym to the actual espresso. I guess it happend to many of you that you have ordered a `nespresso`whilst you actually meant a usual espresso. So people are always remembered to the company. Moreover by promoting with celebrities like Roger Federer or George Clooney, they make the customers want to buy their products in order to identify with them. What´s more,in 2010 Nespresso was subject to 1700 patents that protected Nespresso´s innovative concept. However, if you look closer, Nespresso is pretty expensive and is polluting the environment with the excessive use of aluminium for their capsules. soon Nespresso started a project to offer a reciycling service, so they overcame their small reputational crisis. hi everybody, i introduce the online company eversports, where you can book more over 100 of sport activities online. For example you want to play tennis in a club and need a court from 20 -21, you can take a look on the site from a club, book it and pay it. Also you can search different courses like yoga or pilates, climbing, you want play soccer indoor with 10 friends, you can book it there. It is also possible to make a reservation with your tablet or smart phone with the app eversports. So its comfortable, fast and can book everywhere and everytime. For sure, not every club is on this online plattform. So if you have a club or company you must deal with Eversports that you are in this system visible. You get account and then you are registered. Now your clients can book on your site, your homepage, a court or courses, for example. I want to analyze the company Löffler. Löffler produces sports clothing in Ried im Innkreis, Austria since 1973. Löffler specialize in sports underwear, clothing for biking, running, skitouring,mountain sports and nordic sports. It’s one of few brands where you can find „made in austria“ in your clothes. From the design to the production and the cutting of the fabrics, to the finishing processes you can find everything in the knitting factory in Austria, where are 200 peoples employed. Only a few products are completed in another european country. At least they produce for 99% in Europe. Löffler exports for 60% to Germany, Switzerland and Italy, furthermore to Finland, Russia, Spain, Slovenia, Czechia, France and Benelux. So Löffler stands for a sustainable brand with faire standards and strict environmental regulations. These are the most important things for Löffler to be in contrast to all the others sports clothing brands. Löffler communicates their vision with #made for better. „Made for better“ means responsibility for the world we live in, quality in every fiber and innovation that brings you further. Thank you Ina; I completely figured out how this company get a portion of market. Dixi is Slovenian company which first introduce portable toilets for events. they are very successful company right now. They created a new market in which there were no others. With that move they are now the leading company in Slovenia when it comes to offer small portable toilets for event. They are also providing full care for those toilets if there are longer events. I think it was very cleaver idea to start that kind of business. Hi Jure, thank you for your contribution. What do you mean with the “new market” expression? What’s the “new market” idea/strategy? Please, could you provide more details to make us to better understand? I would like to analyze the Curves brand. Creating a fitness center of this type is inexpensive, and customer service can also be cheaper, despite the quality of personalized assistance being better. I don’t know the Curves brand. But from your description I think that it can be considered a blue ocean strategy. I want to analyze a brand called “Redwell”, which is a company that is located in the southeast of Austria. “Redwell” is producing several different kind of infrared heating systems, which are really interesting and special in design. They are creating modern kind of lamps, mirrors or pictures (where they work together with different kind of artists and painters) and put the infrared heating inside. Unlike conventional systems, “Redwell” heating systems heat the walls, ceilings and furnishings and not the air itself. Walls retain heat much longer than air and return warmth to the room. And as there is no circulation of the air, less dust is circulated too.The fact that you don’t see it at first sight- that the mirror for example is producing heat- is probably the thing that makes it special. They already got several awards for their stunning designs. What also helps them to be successful is the fact, that they never wanted to have the fastest growth in the market, but more a little bit slower but stable growth of their business. After a few years they have spread their business idea all over the world and they can say that the brand “Redwell” is known, sold and wanted in most countries in Europe, and they are still growing. Also they are really generous in helping out and sponsoring local leisure-time or sports groups, which helped them a lot to get a perfect image. One last point that makes them successful is, what I think, their special marketing clues. They understand what it needs that people are talking about the brand- if there are exhibitions, they are the brand with the most special and attractive booth, so people have no other choice that to look at the product because the whole stand is getting so much attention. So that’s why I think that the brand is really successful. Good contribution, and marketing analysis. This brand appears as devoid of any limitations, can you image one or two aspects that could be improved in the next future to enlarge the current success? I would like to talk about Virgin. Whether in banking, travel, entertainment, health and fitness or communications the Virgin Brand has become one of the most desirable brands in the world. The Brand’s backbone is its values; providing heartfelt service, being delightfully surprising, red hot, and straight up while maintaining an insatiable curiosity and creating smart disruption. Virgin Group is also an active technology-focused venture investor with a portfolio of over 35 companies spanning the consumer internet, fintech and sharing economy sectors. I think that the main succes is Richard Branson. I follow him long time. I had great honor to be in a leadership forum and talk with him. I enjoyed his answer – I have lots of ideas, but mostly I have very inteligent team of people, who helps me to make everything happen, without them I am nothing. Richard has carried out sold out, acclaimed speaking engagements across the globe, and is renowned as one of the most well-received, in-demand, innovative and respected speakers in the world. Richard is Founder of the Virgin Group. He has started more than 400 companies, including over 60 current businesses serving more than 60 million customers worldwide. These Virgin companies include more than 71,000 staff in 35 countries and generate $24 billion in annual revenue – and growing. Richard has more than 30 million followers on social media and blogs daily on issues ranging from business tips to climate change, adventure to the war on drugs. He has been named the UK’s number one Twitter user, the world’s most social CEO and the world’s most followed person on LinkedIn. So this company is bigger and bigger. Therefore, considering its dimensions, do you think that it couldn’t face any problem or restrictions in the future? My opinion, problem will be the new Ideas, but old way. I like saying – only fool thinks that doing everything the same, you will have different result. They pay attention only too new ideas and new. If you asked me, I don’t know main goal. One idea, other… Branson spreads ideas power, but not power of making happen. The company I want to analyze is “Blackroll”. Probably almost all athletes here know the items this firm produces for Self Myofascial Treatment (SMT). At the time when the company entered the market there was not a lot of competition there and it was quite small. Right now, a lot of other SMT-products have entered the market and it’s almost like a “red ocean” (over-crowded with shrinking profit). Very important for Blackroll was that they entered the market at the right time to get something like a “pole position” when thy faced other competitiors. Moreover, the company’s innovation sector was constantly developing new products which made it really interesting for potential buyers. In my opinion, the fact that Blackroll was one of the first movers to enter this field and the unique focus on innovative SMT-products are two very important factors that lead the company towards its success. Thank you Carina, you perfectly focused on the request. You exhaustively reported the limitations and the strengths of this product into the market. that’s a good example. Even though people don’t use a SMT-product from “Blackroll”, everybody call it Blackroll. Hi, i would like to analyze local Bevog Brewery. It goes back to 2012 when slovenian electronics student Vasja Golar went to optical electronics fair in Belgium. And at the airport he tasted some beers with his firends when something clicked to him. Back home he started to learn how to make his own beer, he bought literature and equipment and soon produce his own beer. A year letter brewery was built. He wanted to build it in Slovenia but our bureaucracy was difficult and excise duties were too high, (btw biggest in Europe) so he built in Avstria it few kilometers near border. Now in 2017 he already had to resize his brewery four times and his beer was choosen one of the top 3 beers in the wolrd base to ratebeer.com. Goal is to shape his own beer and not to follow established standards and cross the limits of the known and tested. His moto is to put quality before quantity and because his beer is so good, demands of it, are bigger then he can produce it..
Only limitations i can see is in maximizing production. Everything started so small and now demands are rapidly growing. Like i said they allready had to upgrade and rebuild their factory and that took a lot of effort, time and money. Dont know if its possible to go indefinitely. You chose a really good example. From these case we can learn so much! You should check it out and read more about these company. The case study I want the took anbout is success of the Pringles company. Pringles is a very successfull brand is the savory market. These snak chips, developed by procter & gamble in the 1967, differ from other chips thanks totheir crunchiness, to their unique shape ( resulted from the extrusion process of the raw material ), thanks to the fact they don’t stain fingers with grease and due to the very innovative and creative packaging. All these features give pringles an important marketing advatange over the rivals. I agree with you that the characteristics you have mentioned are what makes the Pringles company unique and differs them from other chips-producers. Additionally, I would say that they have a very good communication strategy: In their advertisements they always emphasize the entertaining effect when eating Pringles chips. I also think that their innovation in terms of product flavors is how they get a lot of attention in the global chips market. Nice product. I liked your analysis. Despite the reported strength with respect to other competitors, I personaly think that this type of food product will not have a very long life in the future without relevant modifications to sell to a high number of customers. I want to analyze the e-sports. eSports, also known as electronic sports, eSports, e-sports, competitive (video) gaming, professional (video) gaming, or pro gaming are forms of competition that are facilitated by electronic systems, particularly video games. E-sports has 7 different disciplines. The most popular is multiplayer online battle arena (MOBA) which includes the League of Legends (a videogame). The participation of more and more audience from all over the world is creating a “movement” that is growing surprisingly fast. By way of example: in 2011 it was created the League of Legends World Championship (tournament accessible to the best players of the said game). The same year, over 1.6 million watched the final. In 2017 over 100 million viewers (the most viewed event in the history of eSports) were recorded to watch the game. Why are eSports so rapidly developing? Nowadays, thanks to digitalization, the majority of individuals aged from 16 to 30 can use computers for recreational purposes (playing video games). Playing is not difficult, it only requires a computer, free-time and knowledge of the game. The audience behind eSport generated a revenue of $465 million this year ( https://www.theguardian.com/sport/2017/jun/16/top-addiction-young-people-gaming-esportsa ) so much that the Olympic committee is evaluating its admission to the 2024 Olympic Games. Hi Marco, i totally agree with statement that esports doesn’t deserve to be part of Olympic program because of marketing value but e-sports are kind of real sport of itself. If we focus in top level game preformance particularly League of Legends, u have to have some attributes of athletic skills. Games are played in 5 vs 5 environment, so there is a lot of strategy, communication, teamwork involved. Good players have very quick reaction time, some physical stamina and ability to be focused up to 4-5 hours straight. And like u said, at big events, their every move is viewed by thousands spectators. We already have a lot of discussion about this topic with very different opinions. Thank you for your contribution, especially for your personal and critical analysis about an eventual entrance into the Olympic Games events. The brand I would like to talk is Adidas, the largest sportswear manufacturer in Europe. The founder of Adidas is Adi Dassler. He was passionate athlete who did his first shoe in his workshop 1920. Ten years later we has making 30 different shoes for eleven sports. After Summer Olympics in 1936, where American sprinter Jesse Owens won four gold medals using Dassler’s shoes (first sponsorship) his business boomed by selling 200,000 pairs of shoes annually. Adi Dassler registered his company as Adidas AG in 1949 after split with his brother Rudi (he created another brand Puma). Adidas can also read as All Day I Dream About Sports which is a great slogan. The company’s core product is athletic shoe, including tennis running and basketball shoes, three stripes logo appears on clothing and sunglasses. In the past Adidas had problems with surviving in a fast-moving market. With shifting production to Asia and strengthening its marketing budget became again successful. Adidas is looking always for a new market- in 1996 Adidas equipped more than 60000 athletes at Olympic Games in Atlanta leading to an increase in its clothing sales of 50%. Adidas established a long-term partnership with top English fashion designer Stella McCartney who successfully launched sports performance collection for women called Adidas by Stella McCartney. Nevertheless a lot of celebrities from different sports (David Beckham, Maurice Green, Lionel Messi, Andy Murray) and football teams like Real Madrid, Juventus, Manchester United have endorsed the Adidas products. Adidas with its great slogan in the name (the name has a value), athletes presenting as a communicator of the brand, brand awareness , top of the range products is still continuing to expand worldwide. Another good thing about addidas is that their product nowadays is created by humans moves. for example, trousers – are made to the knee wider, for the better movement and stretches like you change your move. All clothes designed to be second skin. Like for other contribution, I’d like to ask to report a couple of eventual restrictions, limitation or weak points that Adidas should consider for its future. Nice, but there are many other good companys with big names or cheaper shoes. So Adidas is expending his prime product to new areas to be above competition or even creating new markets. I’m going to analyze the success of ALTIS, world athletics center based in Phoneix (Arizona). ALTIS is an unique high performance center for track and field atheltes. In few years around 100 elite atheltes decided to train using the concept of ALTIS made of successfull sportmen and sportwomen. They created a new concept of living the life as world-class athletes provinding them all the needs and especially creating a goal-oriented envirnoment. They created a new area of sport performance and the several medals from World Champs or Olympic Games are the proof of this success. Even though it is a small reality with respect to the other reported, it seems to be a very high quality offer. Could you report one or two eventual limitation in the ALTIS proposals? The main limitations is related to some athletics events. they are mainly focus on speed-power track and field events (i.e. sprint, hurdles, jump, multievent). while the endurance department got a secondary relevance. In Piemonte, a region in the north of Italy, there’s a “slow fast food” company call M** Bun (mac bun= just good, from the local dialect) that is a kind of Mc Donald but with healthy food, that comimg from Piemonte. Their power is that they are fast but not with junk food and for give more folklore all the sandwhices have a funny dialect name like “sensa cognisiun” (=without cognition) or “fresc che bun” (=fresh is good). In this way I think that they satisfy consumers that have few time in the lunch break but with an high quality food and the way to say that is genuine, it is to give to their food dialect name (that in big and cosmopolitan city like Torino it’s a little bit weird); but this strategy it’s fanny and probably give to the consumer a sense of good traditions and genuine food. I don’t know if they could be consider in the blue ocean strategy or if it’s an existing markets and they just try to beat the competition, for me it’s probably a mix of both, cause they start from a from a winning idea (fast food) and search a different consumer (health food). Let me know what do you think about it, thanks. The first »success story« I could think of that impressed my by its great marketing strategy is the Airbnb company. It’s a community marketplace for people to list and book accomodations around the world and since 2008 when it was founded, Airbnb has grown to 1,500.000 and more listings in 34000 cities worldwide. What is their secret to success? They have focused on the authentic experience of a city, what was it like to live like a local, literally offering to the tourists a second home. They used this in a marketing campaign on social media, by using special hashtags and videos as their marketing tool. They also launched their app to personalise an individual’s search results. I think they found the right demographic to target and used the right approach, that’s why they succeded. Since they are still upgrading their app, I think they have the possibility to grow further. in your opinion what is the most relevant aspect of Airbnb’s success? Hi Amela, Airbnb is a good and social idea. I used it in France for the first time for three days. The flat was big enough, friendly and clean. I didn’t see the owner from this flat, i don’t know if this is good or bad. I think, also i heard, Airbnb will get trouble with taxes, because some people earn hidden money with this company. I heard also in some countries Airbnb is illegal. The service I want to analyze is amazon. I have chosen this product, because I use it almost every day. Although I have heard the rumors about the bad quality of work and low salaries, there is no other company offering the same service as amazon. I believe, there are a lot reasons why amazon became such a world leader in online shopping. First of all, the website is unquestionable user-friendly; you can see your product, the price and a lot of real-reviews from people, who have already bought the product. By reading the comments you can conceive your own opinion. Second, the website shows you a lot of related products, which which gives you the opportunity to compare different products. Third; although amazon isn’t always the cheapest place to get you products, they have almost everything in stock, so you don’t have to compare and register at ten different online shops for different products. Fourth; the fast and free shipping and the possibility to return items you do not like. It is so easy to buy products with one-click, when you know there is no extra charge for sending them back. All in all, Amazon is very convenient and is always trying to improve. For example, in the last couple of years they introduced amazon prime video, music, pastry and amazon smile, which donates a few cents to a non-profit organization of your choice. Of course, this might be just a marketing gag, but it is a good example of how amazon always tries to walk new paths. i chose to speak about service that is successfully working in Lithuania. Foodout.lt is food delivery service to your home that combines a lot of restaurants (more than 200) prepared food. i believe that a lot of restaurants provide food delivery service, but this service offers a possibility to choose from many different places to eat. for the customer it is more convenient. also this service is very convenient as you can browse online, use mobile app or call for the order. it also allows you to see the actions provided from restaurants in one place. besides this, they use a strategy if you order more food you can get the delivery service for free or if you order 3 times, the fourth will be for free. this service is not only good for the end user – a person who wants to eat but also for the restaurants as they do not have to have a delivery service which could be quite expensive. this food delivery service could satisfy the need for both the restaurants and for people. that’s a good example of the success – know the needs and than find a way to satisfy it! hi Vilma. We have the same kind of online-delivery service in Austria as well. I can agree with your analysis. Nice analysis; In these years, it looks like entrepreneurship about food is something of positive from the beginning of an marketing action. As Cecilia pointed out in the very beginning of this week IT’S ALL AROUND YOU, I chose the mountain bike brand SPECIALIZED, which is strongly present in my surroundings. Specialized was founded in 1974, just one year after the “official” birth of the mountain bike. Both, the company and the product were born in California and so it was right the perfect spot to start to produce mountain bikes in a bigger style. Specialized was anyway the first one to do so and also later they always seemed to be ahead of the concurrence. They were the first ones to produce and sell a bike out of carbon fibre. Though they suffered from a crises where they had to sell 49% of the company to Merida, a concurrent brand from Taiwan. On reason for the dominance of Merida was for sure their advanced automatized production technology and the fact that, even still today, nearly all of the bicycle frames are built in Taiwan. But Specialized rethought their strategic marketing plan and based it on selling not only a bike, but a lifestyle. They focused on why they build bicycles and this feeling of passion they started to spread in their company itself and around the globe with their products. To be a Specialized- Athlete is to be SPECIALized. In my opinion you can find also a lot of the image of the “American Dream” and the “American Way of Life” inside their presentation of their brand. Because well…cycling is a passion that gives you freedom. Besides they focused again on innovation and furthermore on creativity. They developed a special system for full suspension bikes, where they hold a patent on and further they started to experiment not only with paint, like thermic paint (it chances the colour depending on the temperature of the environment), but also with new types of bikes like fat bikes. Their range of products also does not stop at the bicycles and so they produce nearly everything which is needed around a bike as well. All this is communicated to the costumers mostly through social media feeds and video channels plus they developed concept stores where they also integrated an innovative bike fitting system which is precise and allows the sellers in the stores to fit the bike perfectly to the anatomy of each costumer. So all in all I see the strong points of Specialized in their focus on innovation and their creation of a lifestyle, a feeling of passion along with their products. Interesting analysis with an effective point of view on the current needs and trends. Hi! I think about two brands/products : Reebok and CrossFit. – CrossFit is a branded fitness regimen founded in 2000 in U.S.A. Promoted as both a physical exercise/nutritional philosophy and also as a competitive fitness sport. – Reebok is a global athletic footwear and apparel company. Produces and distributes fitness, running and CrossFit sportswear including clothing and footwear and is the official sponsor of CrossFit. Both brands are connected by a history of success and is a really good example of Blue Ocean Strategy, we founded a new market space: the mix of sport and fitness for CrossFit and dresses for a mix sport-fitness by Reebok. In particular, the success of Reebok in this years is a consequence of sponsorization of CrossFit in 2005, when they began to work a unique model of competition; athletes at the games compete in workouts they learn about only hours beforehand, sometimes including surprise elements that are not part of the typical CrossFit regimen. This allow increase the fame, also with social media. I agree with you. it’s a good strategy to associate a brand (Reebok) with a sport. Do you know other examples? really interesting analysis! Which of the two brands do you think is the stronger one? The one which is more present in the costumers mind? mmm…good questions, this two brands are really strong now, but we know the crisis of Reebok in past years. The second question have one answer for me: both. Because if you think CrossFit, think Reebok, and if you think Reebok think CrossFit. Two months ago I noticed an interesting service in a facebook page which I found pretty unique in Hungary. This brand called „Mártogatós” (it means smething like „dipping”). It’s a food service company whose making catering in events like conferences, workshops, meetups, parties, business breakfasts, family events etc. It is their targeted market place. This company was bein established in 2015 and it’s seems a very good and succesful story. But I need to admit that I never had contact and experience with this service but it’s clear for me that they are making really self-consious enterpise! Analysation: I think it is a perfect example of the blue ocean strategy because I didn’t find other service like this in Hungary. Their purpose to start was that they were fed up with meetings with borring mayo sandwithches and stuffs… They are giving a premium service with personalised appearance. They made 3 main service: One for smaller events like parties and family reunions etc. One for business events 10-100 member. Last one is for up to a few hundred member. Their achievements are due to success requisitions. They are communicating clearly in every platform and their consept is obvious. They are consistently making perfect job with care what is visible on their facebook reviews and it can give credibility for them. They are competitive because they are give prominance to needs and desires like environmental friendly packaging, healthy food for workers, peronalised appearence for companies which are really important for them to stay in the position and in the market what they were open. My example for the blue ocean strategy is a new brand for footballers “only”, the BALR co. They are a clothes industry, especially for football players. The innovation in their promo, that they have a special aim of costumers. Like the Nike has a single division for football but the Balrs whole brand is for them. They make the coolest outfits to the track field and to the every days too. They use the most famous athletes to promote the brand, and they still have the opportunities to grow. Therefore, do you consider the specificity of a target of reference as strength point for this brand? Do you know other brand with the same marketing philosophy? I am a lover of the mountain, its landscapes and its summer and winter sports. I like Patagonia and The North Face brands for clothing and equipment because I think they are among the best for quality and durability; are great for the most extreme excurios such as climbing the highest peaks in the world or for more accessible excursions to everyone. What I like about these two brands that are manufactured in the respect of the environment; from the 1990 began to use only organic cotton, cultivated without fertilizers and only with no-modified genetically modified plants, and since 2013 only plumage are obtained without causing the geese to suffer. They have increased the recycled materials used for their products, and have stopped trading with suppliers who have not adapted to the company’s philosophy, even from the point of view of worker treatment. Patagonia works by carefully perfecting their raincoated jackets from different parts of the world with different chemical compositions. 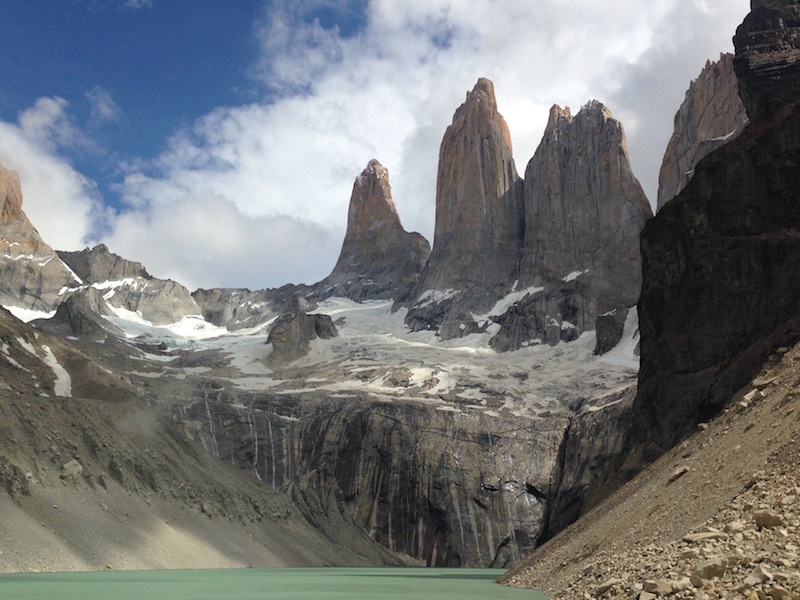 Another of Patagonia’s strategies is to sell its products as much as possible in places with an identity and a link to the place they are located instead of in shopping centers. One year he made an explicit invitation to his customers: before buying it he thinks, and especially it is good to ‘Reduce, Recycle, Repair, Reuse and Imagine Clothing’. In other words, do not buy this jacket. With the campaign, the company launches its sustainability program, where the theme was explained by the head of the initiative: “To lighten our environmental impact, we all need to consume less. Businesses need to do less things but of a higher quality. The North Face is very much depopulated in youth fashion, not even for ordinary people going to the mountains and is now in front of a junction to decide whether to contend with very technical material risking lose point of view of fashion and therefore younger, or converserly. Very pertinent analysis, Simone. Now, could you briefly report your point of view about the current and future strategic choices of this company? I love Patagonia too. Where have you been, Simone? 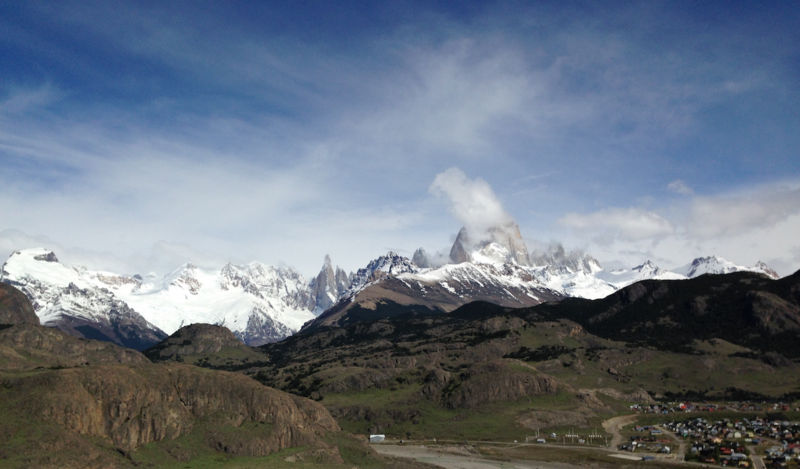 I was hiking at Torres del Paine https://inargentina1516.files.wordpress.com/2015/11/tor221.jpg and around El Chalten https://inargentina1516.files.wordpress.com/2015/11/panorama-anden-el-chalten-farbe.png The landscape is amazing! I picked McDonald’s for this assignment. A few decades ago they had a wonderful blue ocean for their own. That has changed and so has McDonald’s. Innovation and changes in their restaurants and marketing are the reasons why McDonald’s still Number One. McCafe, Create your own burger, new way of ordering, changing menus and so on. Marketing wise they create an image of healthy food. Potatoes and beef from Austria, the freshest salad. Its a place were you bring your children for a family meal and a good time. The truth is McDonald’s has cheap produced crab food. Deep fried and unhealthy. How dare they suggesting the complete opposite in commercials and adverts? Simple but solid analysis in my opinion, even though I think that the McDonald “secret” isn’t just the low cost of food. This brand is present in every corner of globe. I mightn’t image how it can disappear. You all introduced successful brands and companies. That’s why I want to represent a label, which was successful for a very long time and then missed to extend it’s business ideas and to grow by the market and the competition. I want to talk about the finish brand NOKIA. I remember very well when I got my first phone. It was a Nokia 3210. At this time almost everyone had a Nokia phone. There were different models, different colors and the market was dominated by Nokia. Nobody could have thought that now they are even not existing anymore on the market. Within just some years they weren’t able to compete in a changed market anymore. After Apple introduced their iPhone in 2006 Nokias success declined more and more. 2. Not just Apple was the reason for Nokias failure. Nokia itself did some crucial mistakes. 3. While Apple improved their Smartphone, Nokia still believed in phones with buttons. 4. Nokia didn’t recognize the customers needs and the market changes. 5. Nokia just looked for good figures instead of looking for good features. 6. Nokia was thinking short-term, instead of creating and planning long-term strategies. I think this is a good example for the important “Blue Ocean Strategy” which has been shown in the video before. Actually, they didn’t follow the positive aspects of the “Blue Ocean Strategy”, avoiding to look for an alternative market of reference. On the contrary, in my opinion, they just followed the low-cost strategy, not caring of the future developments as you already reported in your contribution. As I would like to get on the market for a Tesla car. It’s the first company to offer an electric car that can drive long distances, but it was not expensive, but people did not spend much fuel and technical maintenance. Now they have made a Tesla3, which costs just over $ 30,000, while driving distance over 300km. Do you think that this kind of car can be successful and substitute the current types of cars? Would the current car companies represent a really obstacle in your opinion? A product that is “in“ for a couple of years now is the “E-Bike“. It came up quite slowly since both the industry was not quite sure about it and the customers were also not fully convinced at the beginning. The original idea of a bicycle – to go further by your own power – was damaged and people did not dare to be one of the first who really use the extra electronic power. The industry reacted and started (marketing) campaigns that focused on the clear benefits of the product and tried to make sure that noone needs to feel bad if he/she uses such a bike. That was the key to success since nowadays e-bikes are the top-sellers in the bike-industry and more and more people from all age-categories are interested and buy one. There is a health aspect (“light“ pedalling is even better than no pedalling), a functional plus ( it’s easier and faster to reach any destination) and an economic bonus (less CO2, etc.) that an E-Bike has. could you explain the E-bike service? What does E-bike offer? Is it a bike-sharing service or something similar? 2000 euros in avarage? Hi Corrado, E-Bikes are bicycles with an integrated electric Motor. You accelerate not just by pushing harder but by turning on the Motor. The power of the Motor (reach, intensity, …) can be different which has, apart from the usual differences of the bike, the biggest influence on the price. To Keep it short and simple: You can go faster without using physical power. I want to talk about the International Restaurant chain – Vapiano. Vapiano is a franchise venture with around 10.000 employees and over 150 Restaurants Worldwide. Vapiano started out in 2002 in Germany with a brand new concept of showcooking which quickly gained popularity around the globe. Despite many critics, icluding myself in the beginning, this chain has achieved global success. With an annual Revenue of around 400 Million Euros, it makes it one of the largest European Restaurant chains. The aspect of the open floor plan and the show kitchen has gained greta popularity and inspired many other restaurants to copy Vapiano. Despite many scandals about rotten or old food, Vapiano has still managed to maintain a positive image and a strong brand. I however believe that Vapiano is not a good restaurant if you want to have conversations with people because at least one person is always getting food and won´t be part of the conversation. Do you like the concept of Vapiano? Do you think it is not very suitable for large groups? Honestly, I don’t feel so “Volpiano oriented”! I’m Italian, and I’m not so “open” and entusiastic in front of this kind of “product”, even considering the “environment/conversation” point of view. However, considering the succes of this company, I believe to represent the opinion of a minor audience. However, don’t you think that Volpiano tend to provide an unrealistic dissemination of the “made in Italy” dishes and resturant environment? It is more or less similar to McDonalds -> you know what you get, you can go wrong and due to the fact that is very often italian Food that is offered I usually like it. But, based on my own experience, it is not suitable for large Groups given if you want to eat fast. Of course everything matters on how the Restaurant is organized but I believe that they can deal better with single-orders. It’s not a good restaurant if you want to have conversations. Or if you’re going with a bigger group. In my case I often went there if I wanted a quick and easy solution. Considering the locations of Vapiano, its often based nearby big companies. Due to this fact I think it’s a good solution for having lunch – no matter if you’re going alone or with work mates. I think the time then is limited, so many peopldon’t care in this case if someone is queueing up or not present at that time. Do you understand what my point of view is like? If you are in a large group of people i would recommend a different place to go. I was in Vapiano during lunch with 4 more people. Despite we ordered in different queues we could not eat all together as the first ones who got food started to eat in order not to get their food cold. I would choose this place with only a small company! hi gotti, vapiano is great restaurant, i like it. It is fast, good, perfect for lunch or business guys who are traveling the whole week or day. Also vapiano create new job possibilities for students or people from foreign country who search for a job. Last year they also started making drones which are highly used nowadays. Their marketing strategy is also awesome. If we just look at the logo and name of the brand, it somehow convince us to buy one. Their target market are mostly people up to 50yo. When thinking about marketing mix it shows up that they are doing great. They have amazing product, reasonable price, unbelievable promotion (you can see their logo almost on every sport event) and you can buy it almost everywhere. I think that it’s also very important that they are changing their products with time, drones are proof. In my opinion there is one negative side of their cameras. Maybe someday someone will get hurt by one, because doing extreme sports with camera attached somewhere on you can be dangerous. I hope this will not happen but it still is possible. I think this brand is good example of blue ocean strategy because they made something new, and now they don’t have to bother about competitors. Great analysis with positive points and limitation as well, even considering the final speculation in terms of blue ocean strategy. You already described what is their big Bonus I would say: They develop continously! Their products, their Marketing, their tecnical aspects, etc. – very competitive and therefore a well-deserved Benchmark. Yes i agree with you Norbert, but still i described why are they so successful and global known brand. to the consumers direct. I found it very interesting because they get to know how the consumers feels about their product. My point of view marketing is all about creativity, fair play, setting up task in satisfying the end consumers. Thank you for your contribution. I really liked the objective report and the consequent personal perspective, highlighting the most relevant strength points in line with the assigment. The case study I want the took anbout is success of the Red Bull company. Red Bull GmbH, on austrian company which sells the hamony mous drink, is a global leader in producing energy drink. Dietrich Mateschitz, inspired by popular functional drinks used in Asia, founded in 1982 Red Bull GmbH, developing the formular and a unique marketing concept. In 1987 the products launch on the austrian market indicates the admission of a new product, and the birth of the new commercial categorie. Now a day, Red Bull have reached over 165 countries, 5.2 billion cans sold, and a brand value equal to 10558 million dollas, achievening the 83° place in Top 100 most Valuable Global Brands 2013 of Brandz. Over time various versions of the original energy drink have been produced, like the sugar free version, the cola and some special editions (Red Bull Red, Red Bull Silver and Red Bull Blue). The key of Red Bull’s competitive edge is a very innovative, unconventional marketing approach and the distinctive placement based of the differentiation. The placement strategy chosen by the austrian company is “a lateral attact”: the company took advantage of a lack of energy drink in the market to establish a new category “Energy Drinks”, not wanting a direct comparison with the main soft drinks and sport drink’s rivals. Red Bull drinks have a different purpose than that of the traditional drinks, it meets the multiple needs of customers (from the energy intake to the thirst, satisfaction) and it is aimed at a target of both younger people and adults, bigger than that of the main competitors. Red Bull GmbH founds its placement on the product differentiation both in terms of Tangible elements and Intangible elements. In the first instance, the difference is made by the greater energy intake due to the presence of caffein and taurin, ensuring the company the first mover advantage and a core leadership, despite the rivals’s imitation. In the second instance, the corporate image and all the marketing iniziatives (from commercials to sampling, from sponsorship to extreme sports events) confer uniquenefs to the brand. The placement of the Red Bull GmbH is supported by a very popular slogan and commercial “RED BULL GIVES YOU WINGS”, by organization of extreme sports events such as Red Bull X-fighters, Red Bull air race, Red Bull BC one, Red Bull Thre3style, Red Bull cliff diving, by the ownership of two Formula 1 teams and sponsorship of uniques events like the Red Bull Sratos, when a new world record in skydiving in free fall has been set. Thank you Immacolata for your detailed and interesting analysis. What I find interesting about Red Bull (besides other Facts) is that there has been quite a number of companies who tried to copy and go next to Red Bull. No one really could match up for a longer period of time and the only one that Comes immediately to my mind and has at least a Little Reputation is Power Horse – do you know others? Why did no one reach Red Bull’s numbers – can’t be just because of the bigger Budget. Burger King, for example, is not that far from McDonald, in my opinion. A Red Bull drink contains not only syrup and energy, it is also full of the Red Bull marketing adventure world created by the great brand builder Dietrich Mateschitz. Who drinks Red Bull is branded with a lifestyle adventure image. This image has real power over many people and is responsible for the remarkable sales. The power of the brand can be expressed in money terms by substracting the price of a no-name generic energy drink from the price of a comparable Red Bull energy drink of the same volume. This estimation shows how much more a person is willing to pay for the same product only because of the brand. PS: In turnover Burger King is less than a tenth compared to McDonald’s. Interesting analysis (Norbert) and feedbacks (Marc). I liked the link to another company like McDonald’s too. I would like to analyze the success of the company OnePlus. OnePlus is a Chinese based company founded in 2013 and focused entirely on smartphones. Smartphone uses today have basically two main system options: iOS or Android, with the leading brand marks: Apple, Samsung, and Huawei slowly catching up. What OnePlus did differently was that they started as a start up company with their main goal to design a high-quality smartphone at a lower price than its competitors. What differentiated this company from others, and possibly lead to their considerable success, was their initial invite system. The company realized the challenges of distributing large numbers of smartphones at once and created an invite system. In this system, potential buyers were ranked based on the number of invited they gave and received by their peers. This system created a very competitive environment among the customers, with the company quickly gaining on popularity. Through this popularity, the company made enough revenue and discontinued the invite system for their later models. OnePlus is now making high quality smartphones at a lower cost than other concerns such as Samsung or Apple. I personally think that the invite system was a marketing strategy to grow the hype around this smartphone. But, do you think that the popularity of the phone will always remain high? To me, it seems that OnePlus pursues a perfect market entry strategy. They started by creating a hype to sell their first phones, they continued by building the same quality as Apple and Samsung and sold it at a lower price. But one-day OnePlus will be an established, well-known brand and then the company will rise the price. If the strategy works well, they can be number 4, beside Apple, Samsung and Huawei. OnePlus decided to enter the highly competitive red ocean. I want to analyze the product of Vorwerk called Thermomix. It is a multifunctional kitchen appliance, which exists since 1961. The latest model has been on market since 2014. The devices are offered exclusively in direct sales and can not be purchased in free trade. Vorwerk uses a complex patenting process to try to prevent its competitors from marketing a comparable product. The TM5 model is protected by 151 patents. The Thermomix has since become the highest-revenue Vorwerk product. Vorwerk also offers leasing contracts for buyers who can not or do not want to pay for the product directly. 1 food processor – 12 functions: mix, grind, grind, mix, beat, stir, knead, cook, steam, weigh, control, heat and emulsify. Fast and healthy: complete meals in just 30 minutes – gently prepared. your analysis is very detailed and I completely agree with the reported advantages and disavantages. However, I think that if this product is so special with respect to the other competitors, the exclusivity of original accessories could represent also an advantaging point from the point of view of the producing company in terms of identity. Birgit, are you using this thermomix? Great product! I have one at home and i am extremely happy with it!! I could not agree that it has long delivery time. I got it very quickly. I would like to compare an existing product of the old industry to a modern transportation service. Advantages: people will wear shoes also in future, a predictable and stable market, a high entry barrier (new competitors will have to establish a factory first). Disadvantages: highly competitive market, high labour costs, a precise marketing strategy is necessary, expensive distribution channels like retail stores are required. Advantages: easy to handle for the consumer, low price, no cash required, low labour costs, a web platform or an app is the companies only important asset. Disadvantages: competition with the old taxi industry, different legal framework in every country, governments may prohibit or limit the service to protect the old industry, strikes or consumer protests because of the low wages of the drivers, a low entry barrier (new competitors need only a software to establish the business). I liked a lot your schematic and exhaustive analysis about both product and service. Hi! I wanted to analize a product rather than a brand that are cigarettes. First of all I think that the real success of this product is based on people’s stupidity. I’ll explain: maybe is just a lack of my experience, but I’ve never heard of someone that at his first cigarette shot said “Mmm, that good taste!” So I think that the first need of new smoker is to appear and not to feel different about his group. The dependence and the irreprensible need come later. This doesn’t want to deserves credit for the advertising campaigns of the past (if I wonder when I was looking at the Formula 1 races when I was young, in my mind the Ferrari car was the one with the “Marlboro” writing on it for example) which have done an incredible work. It’s incredible that despite countless campaigns against smoking, all the evils it caused by it and the consumer’s consciousness in their regard (that years ago didn’t exist) and also new competitors like the electronic cigarette, the smoke market doesn’t cease to exist. I think the secret lies in creating a need, a need that’s firmly rooted in human mind, all supported by a product that create addiction and is therefore good for many people. I like your analysis. However, could you list a couple of positive or negative points (more specifically)? great analysis! I liked very musch the link to the “blue ocean strategy”. Considering your post, what’s the most important application of this strategy on the clearness, consistency, credibility or competitiveness related to the product success? Thanks a lot. I would say the most important application to the product success is competitiveness. Followed by consistency. About the security unlike credit card details the IBAN is not sensitive information as it cannot be used to make payments. Your bank account can only be debited by financial institutions and only with your authorization. thanx for this explication … nevertheless I’m not sure if I would use it, hmmm. thank you for your contribute. Are you able to report any potential limitation in terms of successful? Now, the analysis is more complete. I also know one similar application and i’m using it. It is called N26, and it is bank account for your phone. I agree with you Gianpiero about all this features. Nowadays phones are almost necessary, so if you can transfer money with phone rather than going to the bank i think you waste less time and it’s easier of course. I also understand you Jutta, but i think in few years this will be completely normal to pay or transfer money via your phone. I’m almost sure that in the future wallets will be useless. Maybe this is still not good for everything but it sure will be easier to operate with our money. It is also possible to transfer money on weekends or in the middle of the night so it’s very useful. The brand Would like to talk today is “Robe di Kappa”, a company of mt city, Torino, in continuous evolution. At the beginning, around years 1950/1960, this company had another name (Maglificio Calzaturificio Torinese, Mct), and was focused only on the underwear. After a crisis in which the selling was going down, Met decided to create socks with more quality and with another brand (but always under the Met). In a short time, the invention saturated to give the profits. After the student revolution, in the year 1969, Mct understood the people wanted something new, so it was decided to create also a collection not only of underwear, with another name and another logo: Robe di Kappa. The last revolution of Robe di Kappa has been, entering in the sport and becoming in this way, international. It’s started with football and winter sports, now it’s a brand present in a lot of other sport: it’s the official sponsor of the Italian National Team of Judo for technical sport clothes, and normal clothes. since a few years, Robe di Kappa is also official sponsor of the Slovenia National judo Team. for this company, what are/were the most important keys of success from your point of view? nice to meet you in the MOOC. I like to experience different point of view on marketing clues and analyses of products. I think that the changes done in all these years, has made the progress of the company. I mean, try to imagine at the beginning of the year 1960 what was the company: the company as always understood the importance of the different historical times. Robe di Kappa didn’t start immediately as a big company, with the power of the money. It started as a little regional company and after years and years, it became the big company we know today. I truly believe that in the next year, we will see this brand always more often. Being always a step forward with what the costumers need, and never being stuck, has been the key of the succes. The brand/product I want to look closer is “soda stream”. I chose this because it is really present in my surroundings because some of my friends bought one. Soda stream was founded 1903 in London and still exists – successfully – in todays market. I would say this product confirms to the “blue ocean strategy”. As far as i know, it´s still the only one self made sparkling water product. On the other hand the “water – market” is very crowded of different brands. I can also find some aspects of the marketing mix when i look closer to the marketing. for example: Product (different models, Quality, warranty), Price (is constant – shows quality), Promotion (not overflowing but everyone knows it) and you can buy it in different locations. In my opinion they also fulfill the success requisitions of clearness, consistency, credibility and competitiveness. It’s also a “health product” but still looking stylish, I’d say. These two aspects together make it Special and desirable.